Do you want to know, how to be smart about your Kitchen Renovation? We have the savvy six steps to upgrade your kitchen on a budget. If your kitchen is still in a good nick but simply outdated, you clearly need a change. But it doesn’t always have to be a brand-new kitchen. If you decide on a kitchen make over with Dianella Polishing, you’ll let your old kitchen shine as new. Keep the structure, update the rest. The idea behind a Kitchen Renovation is to give you a brand new kitchen on a budget. In order to save 1000’s of $$, you want to make as much use of your intact existing structure as possible. Keep the cabinets, leave the plumbing where it is and don’t touch the electricity and gas connections. Instead freshly paint cabinet doors, panels and drawer fronts, add new benchtops, add some colour and change the lighting to design a modern contemporary light filled kitchen. While you can’t re-invent your kitchen layout from scratch, you obviously can still improve the overall design by adding a kitchen island or a single unit to the existing structure. Dianella Polishing works with Perth’s best cabinet makers and can assist you with any new additions you require during your Kitchen Renovation. Whether your old cabinet doors look outdated, or the vinyl is peeling – we can re-juvenate most old cabinets. 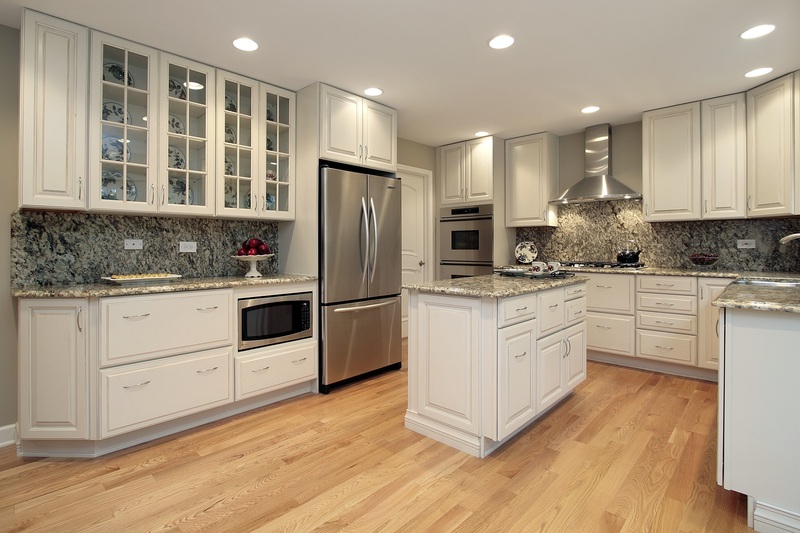 A professional paint job can transform the look of your kitchen as long as your cabinets are still intact. This kind of Kitchen Renovation is a very price effective alternative of getting a brand-new (looking) kitchen. The right handles add the finishing touch to your kitchen. Accentuate by choosing the right look. Dive into an abundance of options. Long and straight bar pulls dominated the market over the last years. They make for the tidy contemporary look. Go rustic or country with carved and curved handles and establish the style of the space. Colours and materials are unlimited. Clever: Unscrew the old handles first and measure the distance between the screw holes – use this distance when shopping for the replacement. Replacing the benchtop has a huge impact on the look of your kitchen. Quality surfaces are paramount if you cook a lot. While laminate is cost effective, you might want to try some more durable, scratch resistant surfaces like engineered stone, granite or marble. Solid timber benchtops are also back in fashion. They add that rustic charme and are long-lasting; combined with high gloss surfaces wooden benchtops make a fabulous stylish kitchen. Set the scene by adding a feature wall: Softer colours, off-whites and shades of grey come to life, when highlighting a wall, a splashback or some cupboards. Chose one area and one colour as a theme or set focus points in different areas. Splashes of green freshen up every space and bright blues bring boldness to your room. A wall decal comes at no cost and adds a personal touch to a stylish kitchen. Wallpapers are making a move into kitchens too and adding texture and luxury. Now that your kitchen looks as new, highlight it, literally. Pendants, spot-lights, under-cabinet lights, LED strips, wall lights, floor lights, mood lights, colour-changing lights etc. Clever lighting adds atmosphere, functionality and style to your kitchen. Consider experimenting with LED strips for a high-tech ambience. Install under cabinet lighting to provide illumination for food preparation. Be bold and light it up underfoot or shine a light on your freshly painted kitchen drawers and cabinets. The right lighting can take an average looking kitchen to a very special level. Guess what it does to your splendid brand-new looking kitchen. Can’t wait to make your kitchen dreams come true? Call us now to arrange for a visit of one of our consultants. Got more ideas how to renovate a kitchen on a budget, comment below.